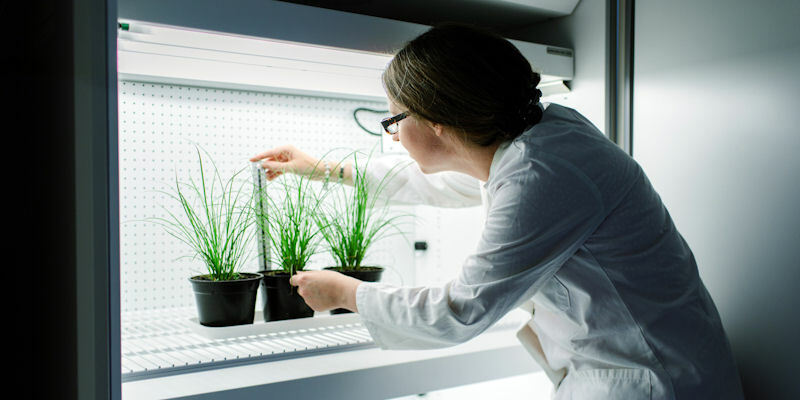 Overview: We have a range of plant growth chambers. Filotron growth chamber: provides controlled growing conditions of temperature and relative humidity in a 24 hour period with independent selection of photoperiods. A full range of temperature, humidity and light levels including “dusk/dawn” effects can be simulated. Conviron growth chamber: currently on loan from our collaborators at Conviron we have the use of an A1000 chamber. It is capable of achieving between +4 and 45 °Cm up to 90% relative humidity and is fitted with fluorescent lighting. Our academics and postgraduate researchers have access to the following specialist facilities and laboratories that support their research. Our undergraduate and Masters students may benefit from these facilities during their project work.